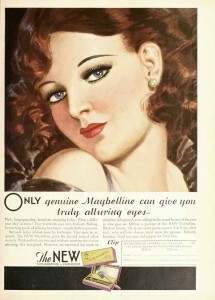 Beauty Expert – Alison Alden reports from 1935 for Glamourdaze.com. Makeup by Besame Cosmetics. 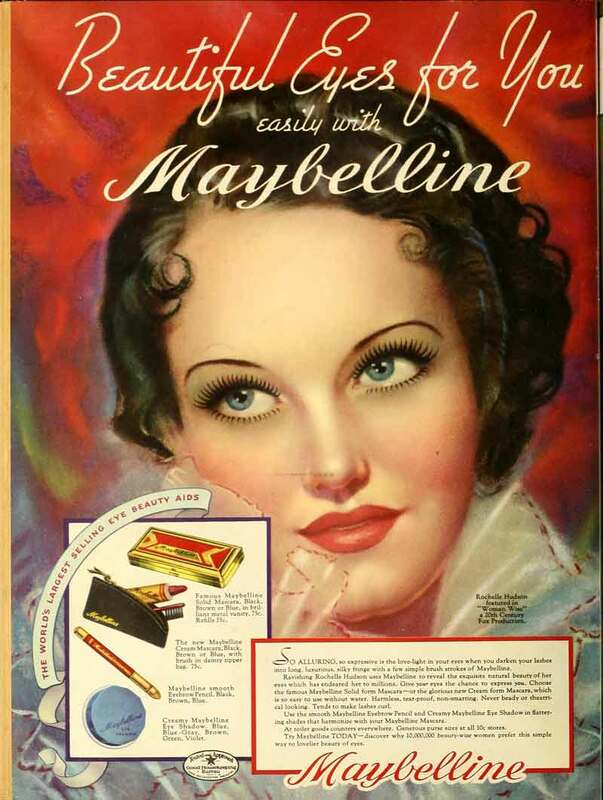 Scroll down to find out where you can buy 1930s cake mascara or 1940s cream mascara. 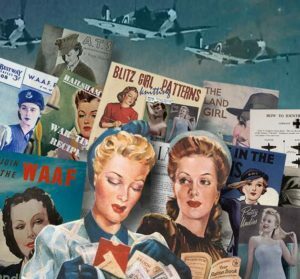 Hollywood has done for womens eyes, what Lindbergh and Amelia Earhart have done for aviation. When Joan Crawford was still working her way through school, the movie people were already perfecting an eye make-up technique that brought eyes out of the oblivion in which they had been lost since the Puritans landed. Hollywood is to be commended, for there is no other phase of make-up that so improves, so transforms a woman. The moment she brushes on mascara on her lashes, and smooths shadow on her lids, she acquires a glamour, and allure that is striking. The Rules of 1930s Eye Makeup. 1.Firstly a light touch is always preferrable to a heavy one. 2.Secondly – don’t operate on the assumption that black mascara is the be all and end all. Unlike our sooty kohl covered cousins of the past, the belle of the enlightened age has a veritable rainbow of delicate shades in shadow and mascara to choose from. 3.Don’t EVER put mascara on the lower lashes. There are some who disagree and perhaps one girl in a thousand who can do it with devastating results, but the rule still stands. 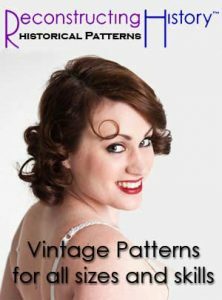 WHERE TO BUY VINTAGE STYLE MASCARA TODAY ! 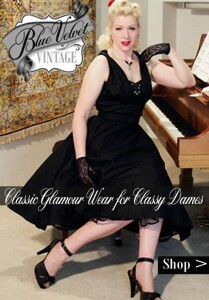 Check out the 1930s cake mascara from Besame Cosmetics. 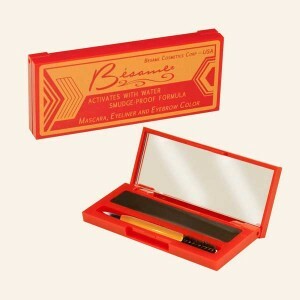 Or treat yourself to the New 1930s/1940s cream mascara plus brush set. 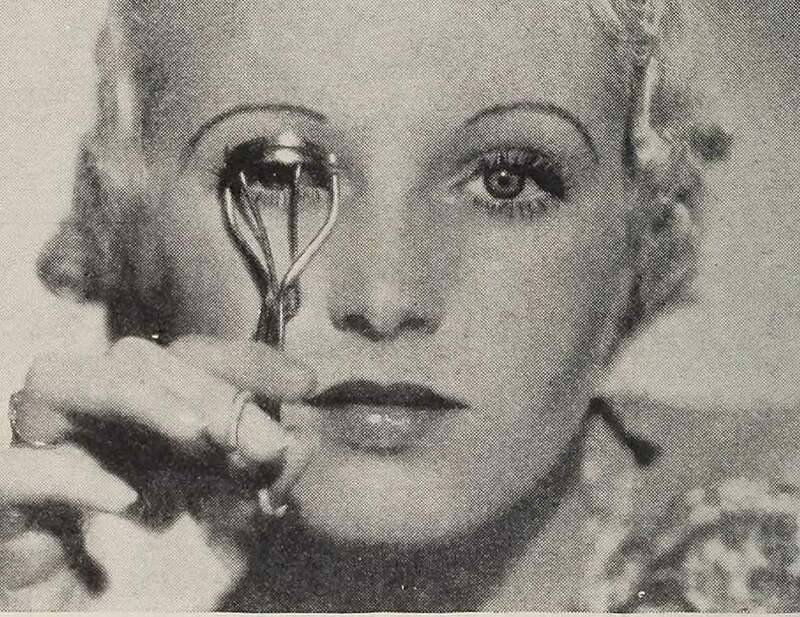 1930s eye makeup – Step1 – The new ‘French’ Eyelash Curler. French ladies have been using these for a while now and I am totally addicted to this gadget. A real honest to goodness curl that can be induced by this patent eyelash curler. You clamp this harmless business over your straight, stubby lashes, count to 100, release it and lo! your lashes are veritable antennae! The curl really stays in for hours. 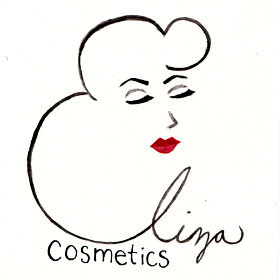 it gives you a tremendous feeling of feminine power to go around batting your magnificent lashes. 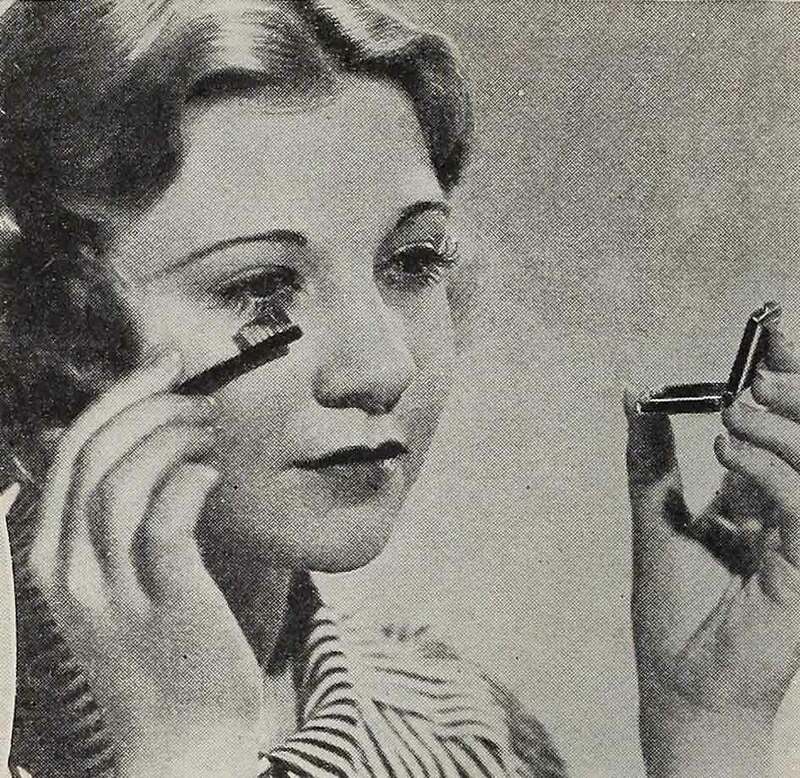 1930s eye makeup – Step2 – How to thicken sparse lashes. 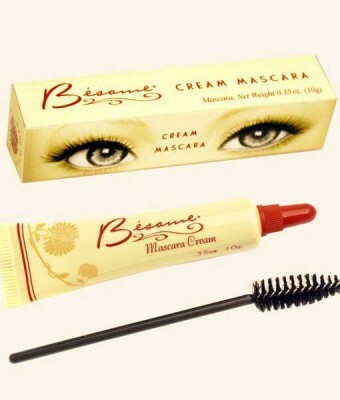 If your lashes are sparse, try this tip: Take a light film of cream on your fingertip and brush evenly on your lashes. with a bit of cotton, apply face powder lavishly over the creamed lashes and then brush on mascara. Result: – your lashes are twice as long and three times as thick. The powder clings to the creamed lashes and thickens them you see. 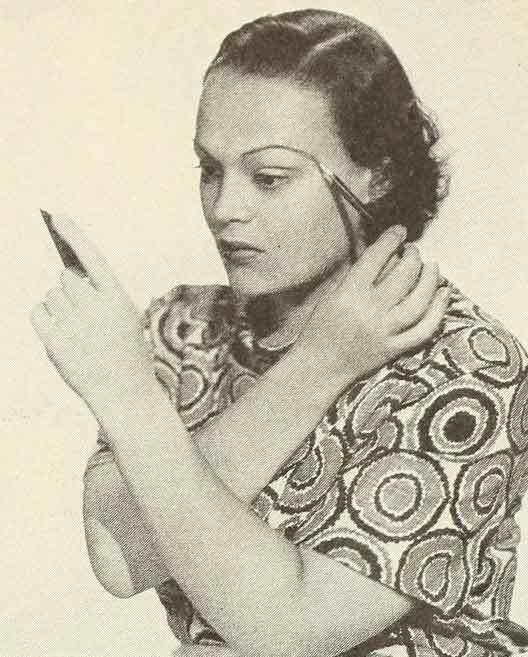 1930s eye makeup – Step3 – How to apply cake Mascara. Applying mascara requires care and deftness in handling. Mix it carefully, not hurriedly, so that it is brought to exactly the right consistency. Brush it on sideways at first, and then brush lightly upward with a sweeping motion of the brush. This sweeping upward motion is what gives the lashes an upward curve actually making the eyes look larger and more luminous. To produce this curve, it is necessary to brush upward industriously, continuing until the mascara hardens. It is wise to have a clean mascara brush ready to use for the upward motion, for it separates the individual lashes more readily and removes excess bits of mascara. 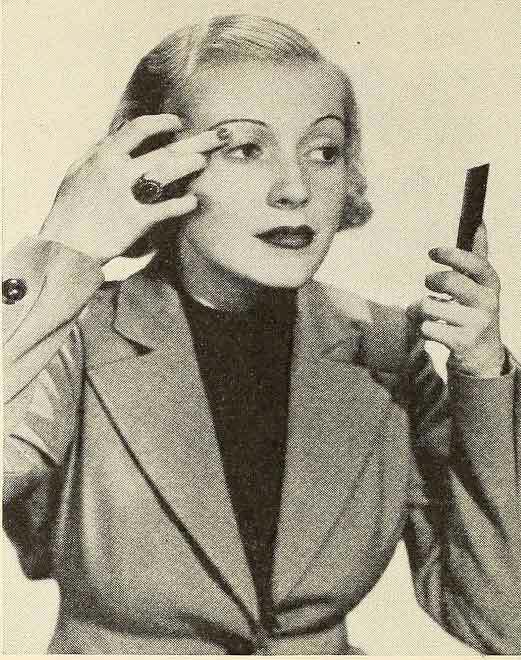 More 1930s Eye makeup tips – A Hollywood thin eyebrow. A brand new aid to getting those thinned out brows ate tweezers with scissor handles. It really aids you – giving a girl a totally unobstructed view of the plucking process. Other aids to complete an eye-beauty kit are an eyebrow brush, ( though a childs toothbrush is just as good!) an eyebrow pencil and eyeshadow in at least two tints – one for evening and one for daytime. The purpose of the brush is to remove powder from the brows and give them a silky, well groomed look. Daily brushing of your brows has a beautifying effect. Presto – Hollywood eye brows to rival Janet Gaynors. More 1930s Eye makeup tips – Cream shadows. Although the unitiated shrink from the task of applying eyeshadow, it really is a most rewarding thing, and not so difficult at all. Be sure to take only a tiny, tiny bit of cream shadow on your fingertip and smooth it along the upper lid close to the lashes and then blend it upward – never above the eyeball of course. Apply a light film of cream first. that makes the blending job easier. 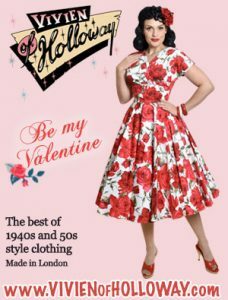 Presto – Hollywood eyes to rival Janet Gaynor. 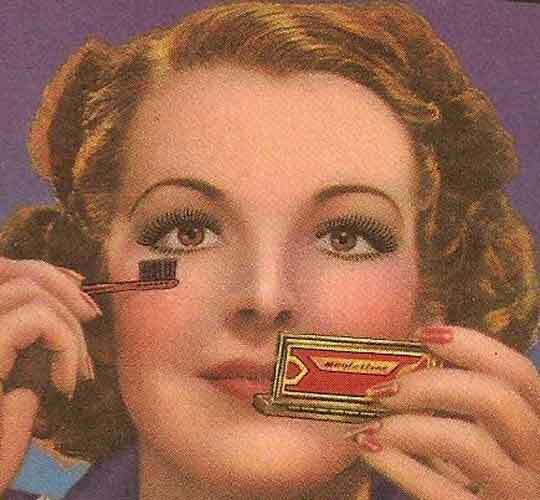 During the 1950’s/60’s a mascara was available like a wand(not a brush) but wand shaped like a cone actually. Any idea about this?